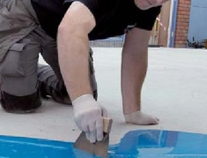 We specialise in all aspects of sub floor preparation. Latex screeds and the stabilisation of existing wood floors. We can fix differences in floor levels and ensure the finished job looks and feels as it should. Damp proof membranes are vital for floors that are subject to damp, it provides a water tight barrier to stop moisture penetrating the floor covering. Latex screeds are an important part of the preparation when updating an existing concrete floor. This will provide a smooth flat and dust free surface to lay the new floor covering. Latex screeds can also help rectify differences in floor levels common with extensions and conservatories. 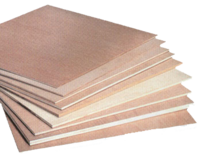 Wood floors will need a layer of plywood between 4 and 9mm depending on the age and condition of the existing floor. It may also require a flexible screed if they are particularly bad.